Work for Reflexis Time and Attendance™? Learning about Reflexis Time and Attendance™? The Reflexis team has been very responsive to the needs of our organization. We are currently in the process of implementing Reflexis Time and Attendance. What I've learned in the configuration of the product is that there is quite a bit more than you might think to get it fully configured. My advice to Reflexis would be to take the learnings from ours and other customers' implementations and create a more "standard" set of rules for each state based on their laws. We are in California and the rules for labor are quite daunting and honestly the software wasn't ready for it. 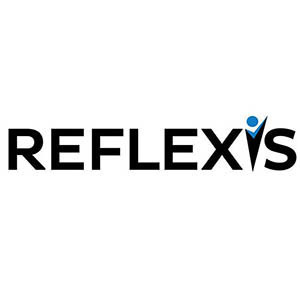 We are working through issues with Reflexis, though, and the team there has been very responsive. We haven't reached the point of gaining our expected ROI yet as we are still in the planning and implementation phase. I like that you can implement the state laws easily and the RTA can calculate based on the requirements. I wish the state laws were already in place because they don't vary. It takes a lot of time to implement everything completely. I suggest you pick a different and more stable provider because it has some bugs and it causes delays. It helped a client to implement the software and they were trying to get rid of their old system. HRdirect Attendance Calendar is attendance tracking software for businesses. * We monitor all Reflexis Time and Attendance™ reviews to prevent fraudulent reviews and keep review quality high. We do not post reviews by company employees or direct competitors. Validated reviews require the user to submit a screenshot of the product containing their user ID, in order to verify a user is an actual user of the product. Hi there! Are you looking to implement a solution like Reflexis Time and Attendance™?